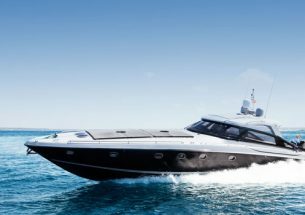 Inspired by the core values of the Vanquish brand, this thrilling motoryacht is designed for the most discerning owners. 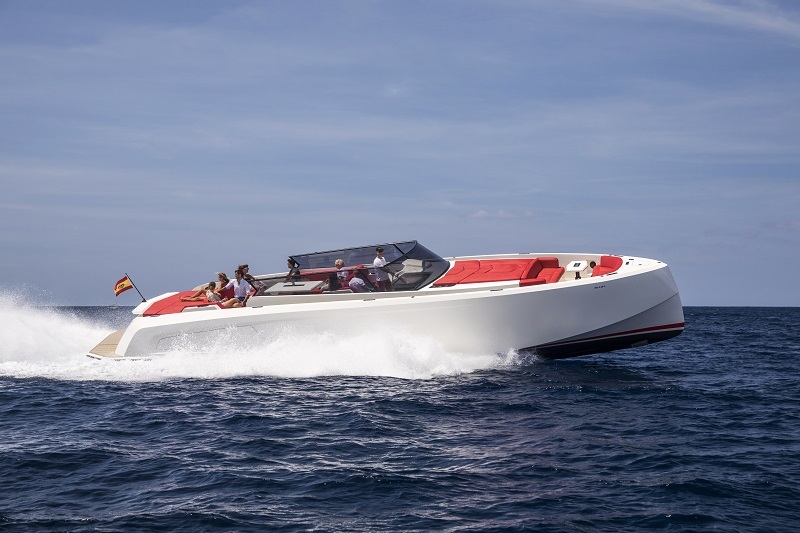 The VQ54 is a testament to the flexibility of Vanquish Yachts: it is in essence an expansion of the yard’s previous flagship, the VQ48, designed to contain a garage for a Williams 285 Turbojet tender. The resulting substantial beam and length make it even more comfortable than the VQ48, representing a new benchmark for unrivalled fun on the water, or providing easy access to nearby beaches. The VQ54 fully embodies the classic Vanquish qualities of supreme manoeuvrability, unsurpassed cruising comfort and elegant custom construction. A great deal of attention has been paid to storage space for a wide range of luggage, diving equipment and toys, including Seabobs. Described by one owner as ‘the ultimate party boat’, the VQ54 provides an enormous amount of open deck space and freedom of movement, with numerous bimini possibilities for additional shade. Moreover, the view remains spray-free at all times. The VQ54 is exceptionally dry both at low speeds and when planing, including in rough seas and high winds, considerably enhancing sailing comfort. 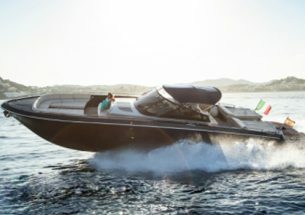 There are now seven Vanquish sport boats available for charter in Ibiza. And that’s a good thing too as demand for the unique luxury and excitement that Vanquish boats offer is very high. 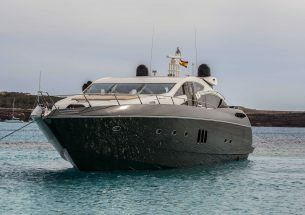 This reflects the fact that the numerous bays, trendy beach clubs, fishing villages and archaeological remains make Ibiza and Formentera ideal for outings on a high-end sports boat. These remarkable boats perform highly and offer a super fun day out. the boat and personal accident insurance.